Maxines Night Time Protein fills a hole in the market with the release of Maxines Night Time a high quality sustained-release protein formula for women that keeps you in fat-burning and muscle building mode even while you sleep. 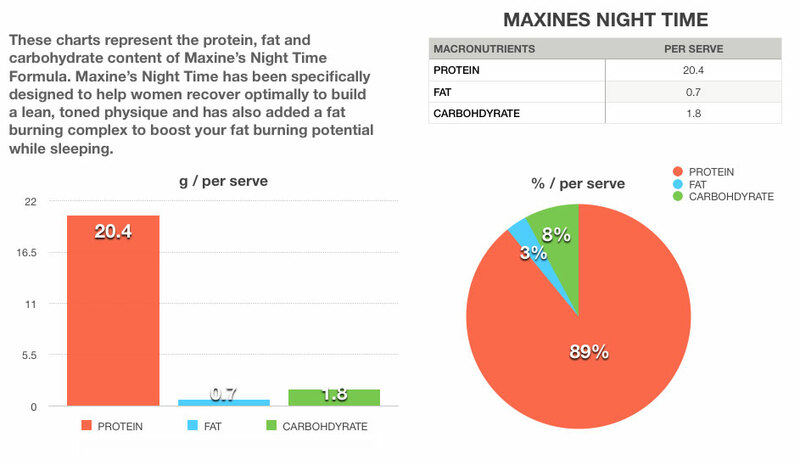 Maxines Night Time delivers a premium blend of micellar casein, whey protein concentrate and calcium caseinate to provide a medium to slow delivery of amino acids into the bloodstream for hours a ingestion. This is particularly useful at night time as this is when the muscle tissue actully recovers and repairs in order for growth of lean muscle. Maxines Night Time have even added the calming herbs Skullcap and Chamonile to help achieve a deep sleep so you can sleep your way to a toned physique. Just to ensure your metabolism keeps ticking over while you sleep to assist your weight loss or toning goals, Maxines Night Time has also included just enough fat burning ingredients including raspberry ketones, green coffee extract, green tea and African mango to benefit your goals of achieving a toned physique without interfering with your sleep. INGREDIENTS: Micellar Casein, Whey Protein Conentrate, Calcium Caseinate, Cocoa, Natural & Natur Identical Flaovurs & Colours, Vegetable Gums (415, 412), L-Lysine, L-Glutamine, Raspberry Ketones, Green Coffee Extract, African Mango Extract, Skullcap, Chamomile, Green Tea Extract, Sweeteners, (955, 950), Minerals (Potassium Citrate, Tri Calcium Phosphate, Magnesium Oxide, Ferrous Fumarate, Zinc Sulphate, Potassium Iodide, Sodium Selenite, Chromium Chloride), Vitamins (Vitamin C, Niacinamide, Vitamin B6, Pantothenic Acid, Riboflavin, Thiamin, Vitamin A Acetate, Folic Acid, Vitamin D3, Biotin, Vitamin B12). 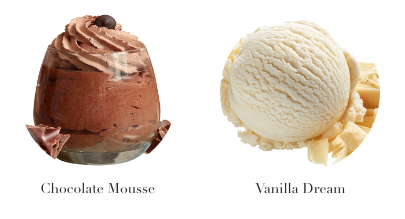 Made in Australia form local and Imported ingredients.